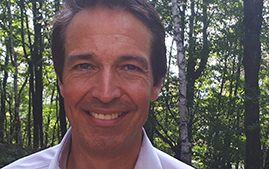 JPdL is pleased to announce the appointment of Patrick Jochems as new Director for the Tremblant division of JPdL Montreal. Patrick Jochems is JPdL’s newest destination management expert. With over 10 years of experience in the Tremblant hospitality industry, Patrick joins the JPdL team with great enthusiasm and an in depth knowledge of the region. Like the 5 Ironman races he has completed, Patrick brings a triad of qualities to all of his projects; energy, determination and heart. Building unforgettable events is no easy feat but with Patrick coaching you through, crossing that event finish line will have never felt so easy. He is dedicated to running creative, seamless, events and programs that will help you achieve winning results. Patrick will specialize in management, business development and operations for JPdL Montreal’s Tremblant division. He will be working in tandem with JPdL president Jean-Paul de Lavison as well as Tremblant Project manager, Chantal Massicotte.